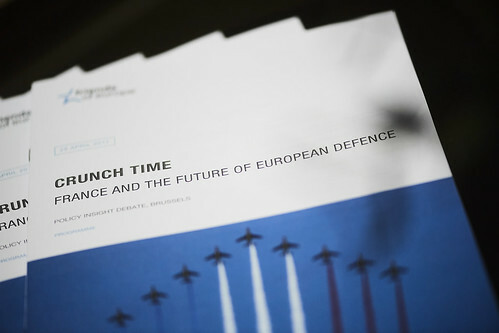 France has been thrust to the centre of European defence strategy and financial constraints mean it needs to figure out how to work with key partners, panellists told a Friends of Europe Policy Insight debate. “France faces a crunch whoever is elected president, in terms of security policy,” said Paul Taylor, European Affairs Editor at POLITICO and author of the Friends of Europe report ‘Crunch time: France and the future of European defence’. France’s economic stagnation over the last decade has reduced its political clout in Europe relative to Germany's. France has not achieved NATO’s defence spending target of two per cent of GDP since 2009. But the winner of the final round of the presidential election on 7 May will have to deal with the fallout of several recent shocks. The new President of the United States, Donald Trump, wants to pursue an ‘America first’ policy, and has previously called into question the United States’ strategic guarantee for Europe. Brexit means that France will, within two years, be the European Union’s only nuclear power and only country with a permanent seat on the United Nations Security Council. Russia has become increasingly threatening. And France itself has been subjected to attacks by jihadi terrorists. There are four main options, according to the report. One is for France to do as much as it can on its own, militarily and industrially. Another is to create an EU defence capability to take action where NATO chooses not to engage. A third possibility is to prioritise bilateral or trilateral defence cooperation with major European partners outside the EU framework, such as the UK and Germany – maximising French autonomy and influence while avoiding EU bureaucracy. Or France could develop a European pillar of NATO, with European capabilities and forces to deliver interoperability and bind the United States to European security. Should you not be able to see the gallery, please click here.